What's everyone wearing on the 2016 Grammys red carpet? A-listers show us how its done on the Grammys 2016 red carpet. The BAFTAs red carpet was great, but every year its classy frocks, fancy hairdos and posh accents have nothing on the Grammy’s – the trashy American cousin of the awards season. Remember in 2012 when Nicky Minaj came dressed as a nun with a grumpy pontiff for a date? What about last year when Madonna forgot her pants? The Grammys are the best. Predictably Taylor Swift slayed it with a new haircut and a rocking dress. But that’e enough from us. Here are all the best and worst looks from the 2016 red carpet. The 58th GRAMMY Awards - Arrivals. The 58th GRAMMY Awards - Arrivals.Courtney Barnett. Image via Getty. The 58th GRAMMY Awards - Arrivals.Adele. Image via Getty. The 58th GRAMMY Awards - Arrivals.Justin Bieber and Jaxon Bieber. Image via Getty. The 58th GRAMMY Awards - Arrivals.Florence Welch. Image via Getty. The 58th GRAMMY Awards - Arrivals.Ariana Grande. Image via Getty. The 58th GRAMMY Awards - Arrivals.Demi Lovato. Image via Getty. The 58th GRAMMY Awards - Arrivals.Taylor Swift. Image via Getty. The 58th GRAMMY Awards - Arrivals.Ciara. Image via Getty. The 58th GRAMMY Awards - Arrivals.Kaley Cuoco. Image via Getty. The 58th GRAMMY Awards - Arrivals.Carrie Underwood. Image via Getty. The 58th GRAMMY Awards - Arrivals.Giuliana Rancic. Image via Getty. The 58th GRAMMY Awards - Arrivals.Ellie Goulding. Image via Getty. The 58th GRAMMY Awards - Arrivals.Chrissy Teigen John Legen. Image via Getty. The 58th GRAMMY Awards - Arrivals.Alessandra Ambrosio. Image via Getty. The 58th GRAMMY Awards - Arrivals.Selena Gomez. Image via Getty. The 58th GRAMMY Awards - Arrivals.Bella Hadid. Image via Getty. The 58th GRAMMY Awards - Arrivals.Manika. Image via Getty. The 58th GRAMMY Awards - Arrivals.Selena Gomez and Taylor Swift. Image via Getty. The 58th GRAMMY Awards - Arrivals.Faith Evans. Image via Getty. The 58th GRAMMY Awards - Arrivals.Dencia. Image via Getty. 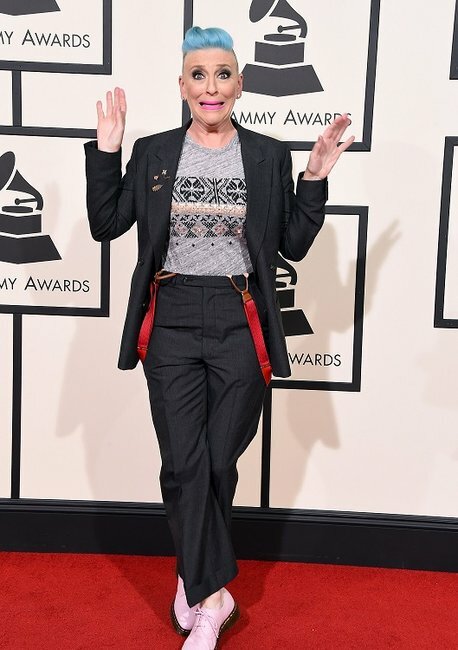 The 58th GRAMMY Awards - Arrivals.Diana Gloster. Image via Getty. The 58th GRAMMY Awards - Arrivals.Diamond White. Image via Getty. The 58th GRAMMY Awards - Arrivals.Vanessa Simmons. Image via Getty. The 58th GRAMMY Awards - Arrivals.Zuri Hall. Image via Getty. The 58th GRAMMY Awards - Arrivals.Lee Ann Womack. Image via Getty. The 58th GRAMMY Awards - Arrivals.Lianne La Havas. Image via Getty. The 58th GRAMMY Awards - Arrivals.Keltie Knight. Image via Getty. The 58th GRAMMY Awards - Arrivals.Kendra Foster. Image via Getty. 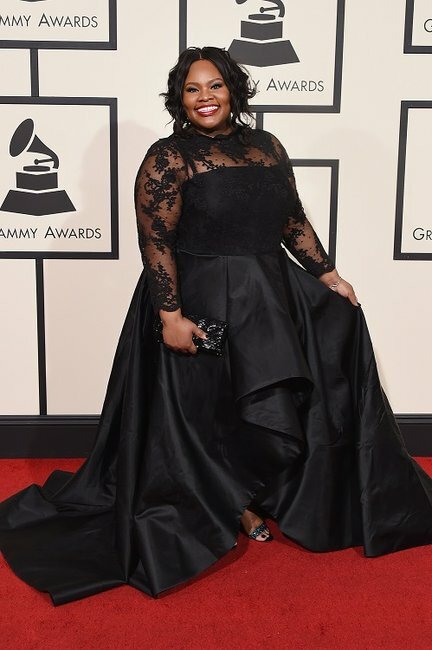 The 58th GRAMMY Awards - Arrivals.Tasha Cobbs. Image via Getty. The 58th GRAMMY Awards - Arrivals.Madison Beer. Image via Getty. The 58th GRAMMY Awards - Arrivals.Liz Hernandez. Image via Getty. The 58th GRAMMY Awards - Arrivals.Lisa Lampanell. Image via Getty. 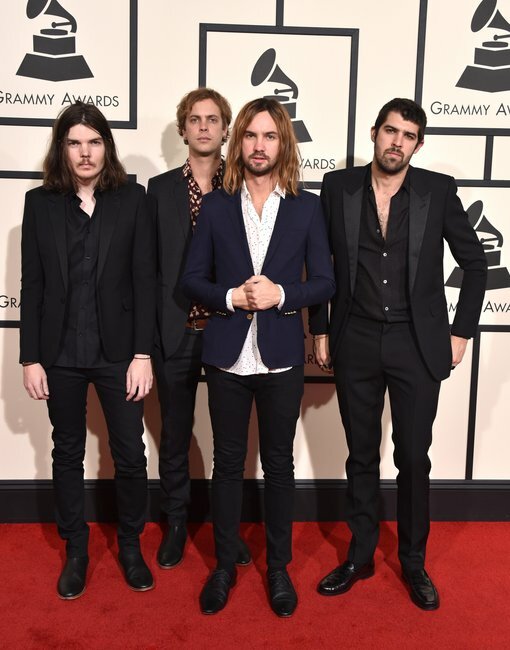 The 58th GRAMMY Awards - Arrivals.Tame Impala. Image via Getty. The 58th GRAMMY Awards - Arrivals.Jacqueline Van Bierk. Image via Getty. The 58th GRAMMY Awards - Arrivals.Dencia via Getty Images.